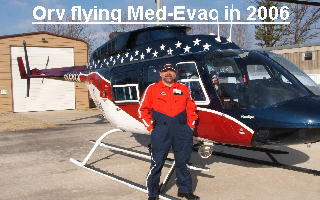 Show-Me Helicopters, LLC has provided Helicopter flight training to hundreds of students accross the United States and from Canada. The student photos included in this section represents only a small percentage of the students that Orv Neisingh has instructed and is by no means inclusive. If any former students wish to share a photo of themselves with their helicopter, email them to orv@flywithorv.com and we will post them on the web site. It is our hope that this section is an inspiration to the many builders out there who need a bit of encouragment to continue and finish their projects. The rewards are well worth the efforts. Website Built by Quality Computers, Inc.